This area was beautifully transformed from a small dining room into a welcoming sitting room. The dining area was moved to the spacious living room and a small collapsible table is tucked away behind the sofa to accommodate overflow. 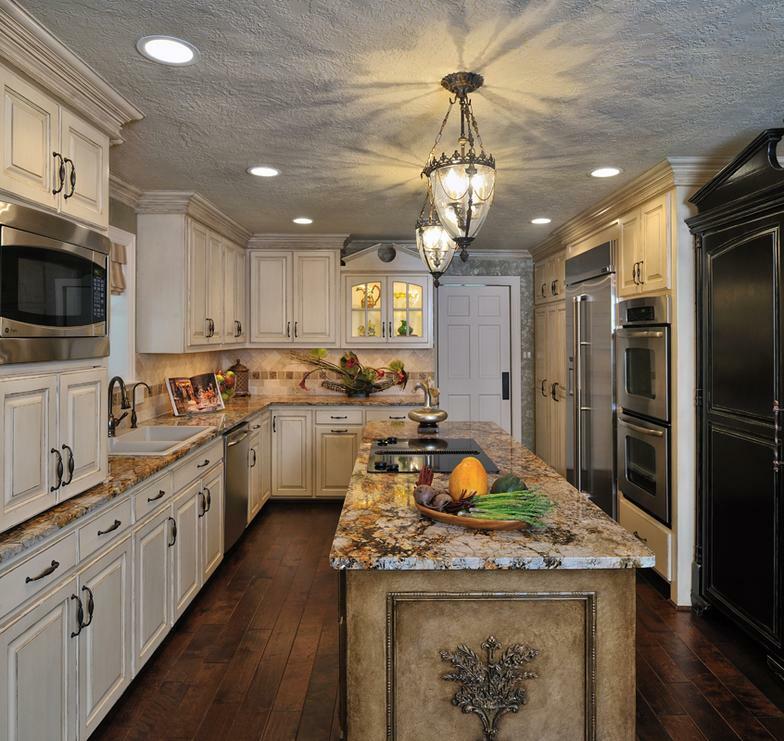 Wonderful light fixtures, beautiful granite, an incredibly talented faux artist and a touch of southern charm are responsible for this finished product.The dark floors in contrast with the multiple finishes of the cabinetry adds interest to an already finely detailed kitchen. 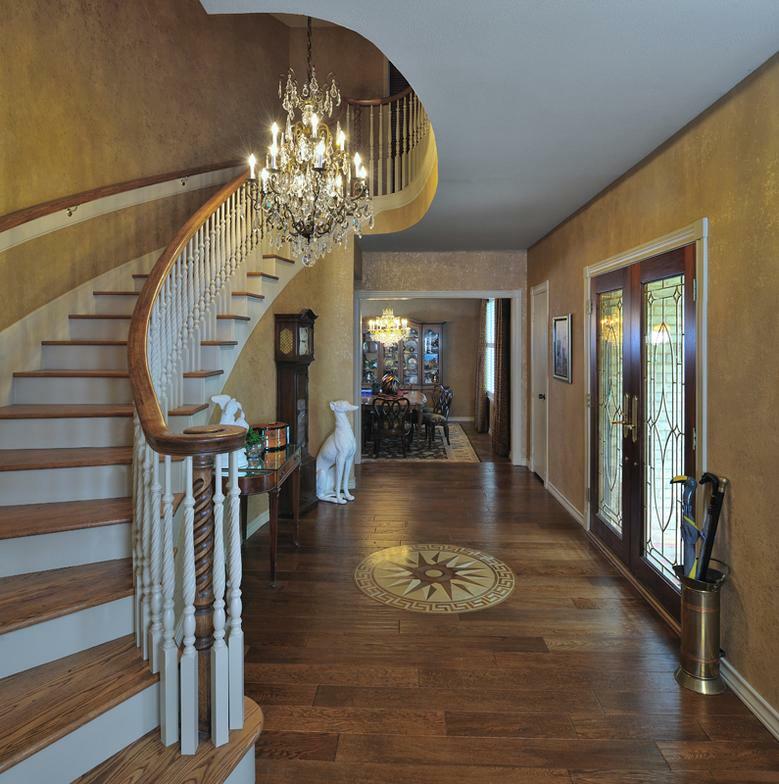 The entry and stairwell underwent quite a change in this project. The rail was reinforced to offer more support for the occupant who was relocated to the upstairs area of the home during the extensive remodel. The carpet was removed and replaced with beautiful wood and the pink wallpaper was swapped for a rich faux finish. 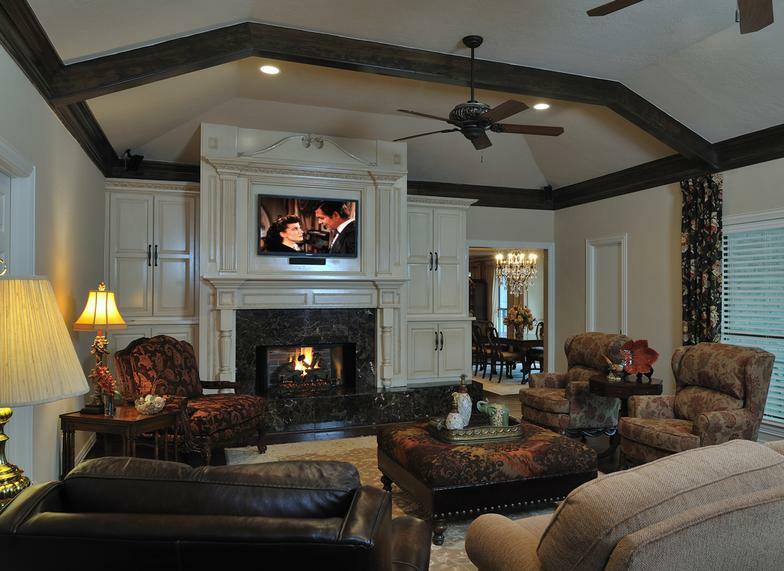 The furniture selections in this family room are inviting additions to the space while the fireplace mantle transforms it from rustic to remarkable. The area lends itself to comfortable socializing, family game night and many other entertaining opportunities. A quick glimpse at a few of our projects before and after. Take a look at the "Projects" tab for more before and after photos . Adding a rich color to the walls and a custom mantle has transformed this lakeside bedroom into a wonderful retreat for our client. The beautiful colors in the artwork alongside the hand blown Russian glass piece gives the area a finished look. 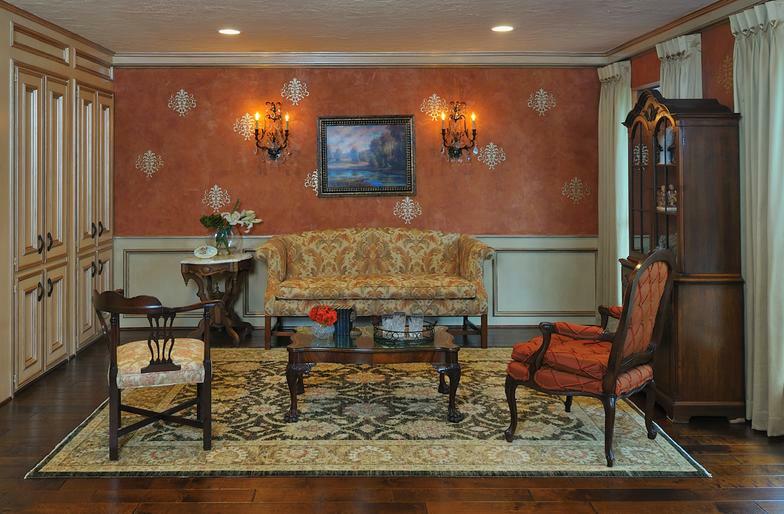 The combination of colors creates a warm, inviting space. It is a polished look that still exudes the the tranquility that you expect from a bedroom.